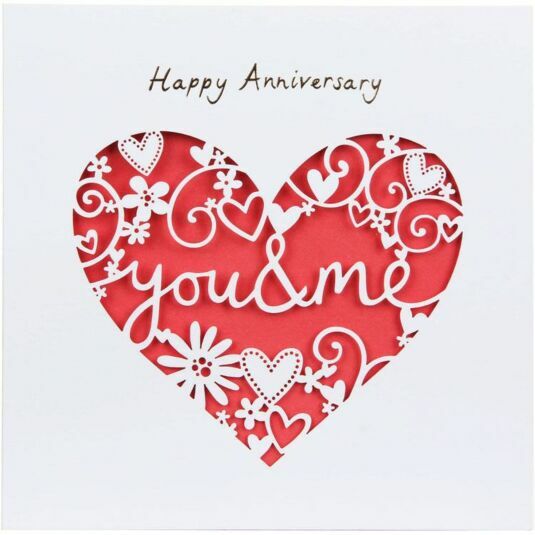 Let your partner know how much they mean to you with this beautiful card from Paperlink’s Lacie range. It features laser cut text reading ‘you & me’ alongside flowers and hearts. At the top of the card the words ‘Happy Anniversary’ are written in gold text. The card has been left blank on the inside for your own message and comes with a white envelope.